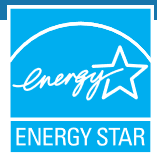 Energy Star is an international standard for energy efficient consumer products originated in the United States. Since its creation in 1992, the European Union as well as Australia, Canada, Japan, New Zealand and Taiwan have adopted the program. Devices carrying the Energy Star service mark, such as computer products and peripherals, buildings and other products, generally use 20–30% less energy than required by federal standards. Requirements concern GHG emissions and energy efficiency of appliances. The EU Energy Star program covers certain office equipment. Note: The EU-US agreement expired on 20 February 2018. Products that were only self-certified under the EU ENERGY STAR Programme can keep the logo on the product and on the packaging until exhaustion of stocks. No new advertisement shall use the logo and it shall be eliminated by websites exhibiting it.